Watch this space for new High-Rail products! Our 3-Rail Control Base was demonstrated at the TCA Eastern Expo on April 11th. Look for it soon. Our American Flyer Control Base will be out soon too! Touch Toggles: the replacement for the toggle switch. Touch Toggles are a system of modular Touch Controls. Years of design and research have created a system which is easy to install, easy to use and affordable. Pre-engineered touch control parts let anyone build a control panel with plug together parts using tools we all know how to use: scissors and tape! Touch Toggles sense your finger’s presence from behind glass, paper, or plastic. Touching our standard toggle changes its indicator from green to red, and back again with the next touch. The circuit turns on and off, or the switch machine moves back and forth. Momentary controls are also available to operate like a door bell push-button, on only as long as your touch is present; Great for uncouplers, accessories, and sounds. All the toggles plug into a control base that lets each toggle operate any connected device. Different control bases are used for different types of devices. Berrett Hill will be at upcoming shows. Click for more details. Read about Berrett Hill. Contact Kevin Hunter with questions at kevin@berretthill.com or 443 527 6320. We have posted our product instructions! For now they are in a scrolling list: unsophisticated but functional. We charge $7 to help us with shipping for US orders under $120. US orders over $120 include free shipping. On or off? Relays provide real switch-contact control for traditional circuits. Each Real-Switch Relay System Base lets Touch Toggles control SPDT contacts that can switch up to 10 amps of AC, DC, track power, or signals. Like all our 12v powered bases, you can daisy-chain to a series of Bases side by side to share a power supply. Connect a string of Relay Bases to control up to 20 switches from one 12v power supply. Save when you purchase a Real-Switch Relay System Package including the Touch Toggles. Ideal to operate Tortoise, or any stall motor switch machine. The Direct Base provides short-proof reversing power with just two wire connections. The same DC power can power small lights, and accessories up to 60ma. Save when you get Toggles and a Base in a Direct System Package. Team them up with our Easy-Wire Tortoise Adapters for a fast solder free installation. This POWERED adapter is a great problem solver combining a socket Tortoise adapter and a powered Direct Base. Replacing our centralized base units, it controls a single Tortoise with either 1 or 2 Toggles. It’s all built into a tiny unit that plugs right onto the Tortoise! Includes power output terminals to run a second Tortoise in a crossover. Great for modules, or those lonely spurs and crossovers far from any other switches. Designed for flexibility, this base gets power from DC or a DCC bus for the least wiring possible! *** Use our UNPOWERED Easy-Wire Tortoise Adapters for a solder free socket installation for a second machine at a crossover or with our Direct Bases. Operates twin coil three wire type machines like Atlas, Bachmann, NJ, and Peco. Our innovative design has charge management to make sure every snap is a good snap. Bundle a base with your favorite Touch Toggles for a package deal. For Kato, Rapido Trains and European 2 wire coil machines. The same sophisticated power management as our 3-wire system with reversing polarity 2-wire outputs. Universal Translator - Links to DCC decoders and computer control. Operate Tam Valley Depot’s servo control systems with Touch Triggers. Just plug them in for instant Touch fascia controls. 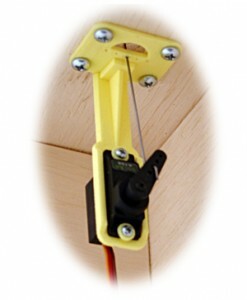 We now offer Mini-Cup fascia mount Touch Triggers for a clean installation. Our MR Servo Kit uses Touch Toggles to operate MR-Servo units by Iowa Scaled Engineering. 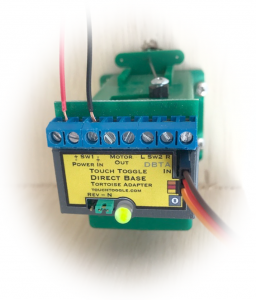 Our Touch Toggles play well with Arduinos, Raspberry Pis, and 5v logic interfaces. New: Our tour of what happens inside the Touch Toggle now includes notes on controlling Toggle indication in your code. This is a handy advanced technique to help with route control and other techniques that need to change Toggle indication without touching. 1/2/18. The Toggle Access Base lets you power up to 4 Touch Toggles, and connect directly to their sense line with terminal connections. Our Terminal Base Input lets you easily control any 4 base inputs with traditional switches or contacts. Easy-Wire Tortoise Adapters at a new low price! The very best for LESS! Big easy to wire clamping terminals and a removable socket so you can wire your connections in your hand, and not upside down under a table. Our reorganized terminal order lets the Tortoise wiring order make a lot more sense and be so much easier to remember. All the soldering is done for you! Make your Tortoise brand switch machines a lot easier to wire! 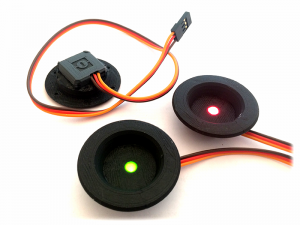 Our Mini-Cup Touch Toggle is a one piece Toggle and mount. Available with either one-light or two-light indication. Look at all the details here! Designed along the lines of Gerry Leone’s clever recessed Touch Toggle fascia mount described in the November 2015 Model Railroader and Model Railroader Video Plus, the Mini-Cup Touch Toggle is ready to go; Just pop it into a 1″ hole in any material. >> Watch the video with Berrett Hill’s Kevin Hunter installing the system on Joey Ricard’s Trackside Scenery layout. 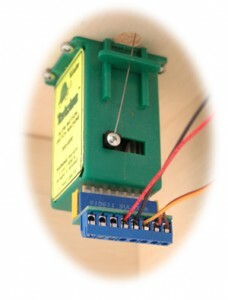 We offer an Undertable Servo Mount to make it easy to operate model railroad turnouts with common radio-control servos. These popular mounts are now available with a micro-switch to provide direct, dependable electrical switching for frog power or signals! Our In-Table servo well mount. Use just one tool to install and there’s no under table work! Now our in-table mounts are available with a micro-switch to provide electrical contacts too! 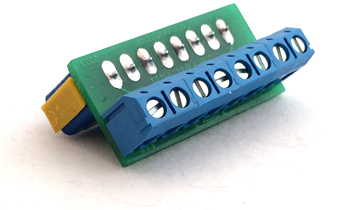 Our Switch Machine Terminal Adapters greatly simplify wiring Tortoise switch machines! Contact Kevin Hunter with questions at kevin@berretthill.com or 443 527 6320. We are proud to offer products by Berrett Hill made in the USA.